Welcome to the 642nd edition of my series. 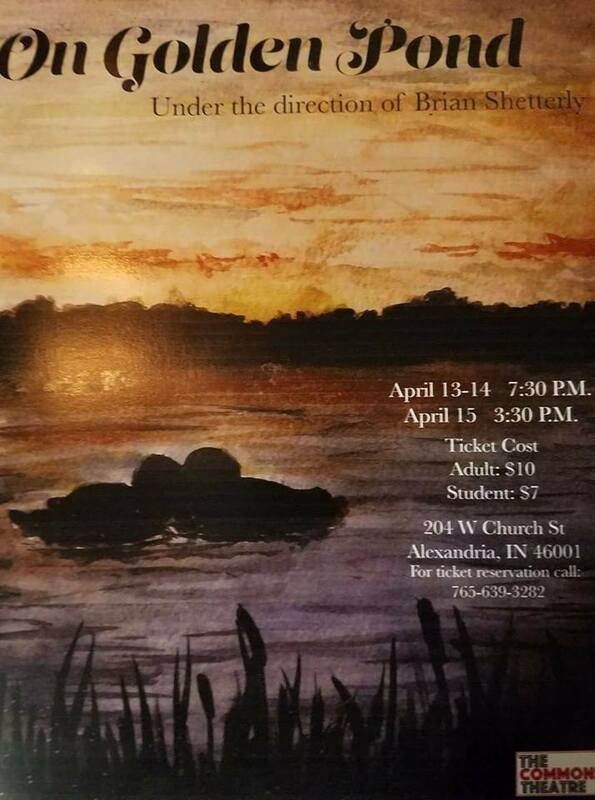 Tomorrow I start my rehearsals for ON GOLDEN POND in Alexandria. I have a poster at the bottom for the information and where to call to get tickets. I have not done anything since October so I look forward to getting into things again. There is not much else happening so I'll just get on with my selections for the week. 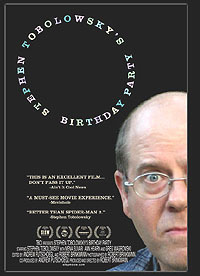 Stephen Tobolowsky's Birthday Party (2005): I start the week out with this character actor which was directed by Robert Brinkman who felt more people needed to know about the widely seen but relatively unknown Stephen Tobolowsky. This is centered all around him where he reflects on his life and career. Like the title says, this is filmed on his birthday. It is always good to see things like this on rather unknown actors. This came out before he was in what he is probably most known for which is his recurring role of Sandy Ryerson on the tv series GLEE. This is a very funny and insightful film and really deserves a look. Darkest Hour (2017): I follow up with this Oscar nominated film that is getting Gary Oldman looked at more than ever. 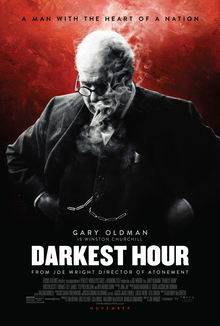 Joe Wright directed this biopic on British Prime Minister Winston Churchill, played by Oldman, in the time where he gets appointed prime minister in the early days of WWII and must make some tough decisions in dealing with Hitler that also become very unpopular during this time. Kristin Scott Thomas, Lily James, Ben Mendelsohn, Ronald Pickup, Stephen Dillane, Nicholas Jones, Samuel West, David Schofield, Richard Lumsden, Malcolm Storry, David Strathairn, and many others co-star in this biopic. Oldman has always been known as quite the chameleon actor and I always love blowing people's minds when telling them that in some movie they are watching with Gary Oldman "that's Sirius Black" and their face is always priceless. He is very unrecognizable as Chuchill and also very compelling in possibly the most difficult time of his life. 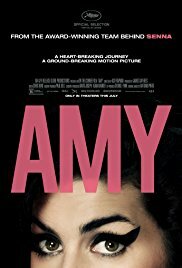 Amy (2015): So far I have featured movies featuring an actor, a politician, now I bring a troubled singer. Asif Kapadia directed this documentary on the late singer Amy Winehouse. This is someone who had a very unique music talent to set herself apart from the pop singers and make it on her own style. Unfortunately, through her talent, fame, and success lied a very lost soul in her downward spiral of drugs and alcohol. This covers some of her childhood with mostly her music aspirations into her rise in the music industry and the ultimate fall that would happen. There is not much to explain. It is a well done documentary on the late Amy Winehouse. 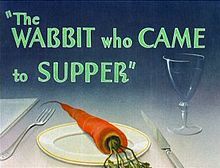 The Wabbit Who Came to Supper (1942): This is my animated short for the week which features Bugs Bunny and his main rival Elmer Fudd. Elmer is set to inherit three million dollars from a late uncle but it is not very simple. To get the money, he must not harm any animal, especially rabbits. Bugs Bunny exploits this clause to no end in order to drive Elmer mad. This is parodied from the play THE MAN WHO CAME TO DINNER. This also has a rare look from Elmer Fudd where he is fatter than usual which was to model his voice actor Arthur Q. Bryan. This has some very funny moments and I watched this from "Cartoon Classics Vol. 2" on Amazon Prime. 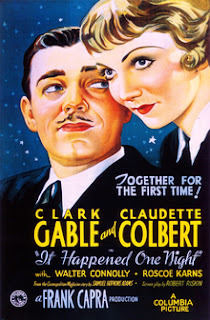 It Happened One Night (1934): This is part one of a two-part Frank Capra series. Capra directed this romantic comedy with the teaming of Clark Gable and Claudette Colbert. Colbert stars as spoiled heiress Ellie who has run away after tying the know with King Westley, played by Jameson Thomas. Gable stars as out of work reporter Peter Warne who when meets her, pretty much gives her no choice but to accept his help or he'll blow the whistle to her father. He has every intention to get a juicy story on her but they slowly fall in love. Walter Connelly, Roscoe Burns, Alan Hale, Arthur Hoyt, Ward Bond, and many others co-star in this film. I suppose this is one of the pioneer films of the romantic comedy and was made very well in Capra fashion. Bond in very amusing in his bit role as a bus driver and watching this made me think that there really should be some documentary on him being an early character actor and maybe the granddaddy of character actors. Apparently, both leads hated this movie which might have helped their performances where neither character really wanted to be where they were at the time. The Subject was Roses (1968): Ulu Grosbard directed this film based on the play by Frank D. Gilroy. Martin Sheen stars as Timmy Cleary who is a returning soldier from WWII and moving in with his parents John and Nettie, played by Jack Albertson and Patricia Neal. He comes home to find there is still some marital strife among his parents and is brought in the middle making his return home very difficult. This is a three person play and the movie added a couple of characters but mostly sticks to the three main characters that are what drives the story. Albertson is probably most known as Grandpa Joe in WILLY WONKA AND THE CHOCOLATE FACTORY and puts on a very good dramatic performance in this film along with the other two. This is really good to watch for the script and performances. This would be a good drama to put on sometime. Black Panther (2018): I decided to finally check out this current superhero film. Ryan Coogler directed this film which stars Chadwick Boseman as he reprises his role of T'Challa who goes back to his African country of Wakanda where he is king after the events from CAPTAIN AMERICA: CIVIL WAR. A civil war in Wakanda is threatened when outsider Erik Killmonger, played by Michael B. Jordan, comes to challenge for the king to essentially take over the island. Lupita Nyong'o, Danai Gurira, Martin Freeman, Daniel Kaluuya, Letitia Wright, Winston Duke, Sterling K. Brown, Angela Bassett, Forest Whitaker, Andy Serkis, and many others co-star in this superhero film. This has some really good visuals and story. Boseman is great as the title character. This has been really big in the box office even by superhero film standards. This has had a very positive reaction from the black race and still has the usual fans. There are a lot of really strong characters in the African village with both male and female. I have seen a lot of memes created of people claiming this is the "first black superhero movie" and then reminds us of movies like BLADE. This is the first for the Marvel Cinematic Universe and maybe the first superhero movie to focus on the African heritage. I have come to see the superhero genre as being the most subjective genre in film and television so this like any has had its share of haters. I have seen a more positive response though and it did not disappoint when I went to the theaters to see it. Phffft (1954): I bring on another romantic comedy for the week which was directed by Mark Robson and this one stars Jack Lemmon and Judy Holliday. They star as married couple Robert and Nina who have been married for eight years and decide they need to divorce. While they are divorced, they try to move on with other people but can never seem to stop seeing each other making them rethink what they have done. Jack Carson, Kim Novak, Donald Curtis, and many others co-star in this comedy. This was a very early film for Lemmon and his second teaming with Judy Holliday. Lemmon and Holliday work well together as well as the supporting characters and of worth to see Lemmon early in his career coming into his own. 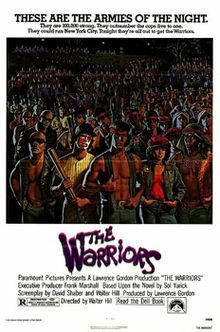 The Warriors (1979): This is part one of a possible four part series on character actor James Remar. Walter Hill directed this action film based on the novel by Sol Yurick. This is a futuristic film where gang leader Cyrus, played by Roger Hill, is murdered in a meeting that involved all the gangs during a speech he was trying to give. A gang called the Warriors are blamed for the killing and go on the run from both the police and rival gangs in trying to clear their name. Remar, Michael Beck, Dorsey Wright, Brian Tyler, David Harris, Tom McKitterick, Marcelino Sanchez, Terry Michos, Deborah Van Valkenberg, David Patrick Kelly, Mercedes Ruehl, and many others co-star in this film. This has a very stylish look to it with all the gangs having their own unique element, especially the Baseball Fury gang. There is a really good story along with some great fight scenes. This could go along well with something like A CLOCKWORK ORANGE or ASSAULT ON PRECINCT 13. This is available to watch on Amazon Prime. 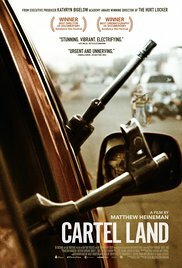 Cartel Land (2015): I end the week with this documentary which was directed by Matthew Heineman. This takes a look at the ongoing drug problem along the U.S.-Mexican border. This takes a look at two vigilante groups, one known as the Arizona Border Recon and the other is the Autodefensas. It goes onto interview Tim "Nailer" Foloey who leads the Arizona Border Recon which is essentially a para-military group and physician Jose Manuel Mireles who leads the Autodefensas which is a group of locals wanting to make their Mexican town better. This was a good look at the drug cartels and people who felt the authorities were not doing enough so they tried to help the cause. The vigilante groups are still active and interesting to look into. this is available to watch on Netflix. Well, that is it for this week. 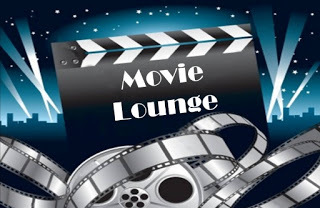 Tell me what you like and dislike and stay tuned for next week which so far includes Michael Keaton, Cary Grant, Steve Coogan, Sally Field, and many others.